Where should we put your free forum? Where should we put your free message board? 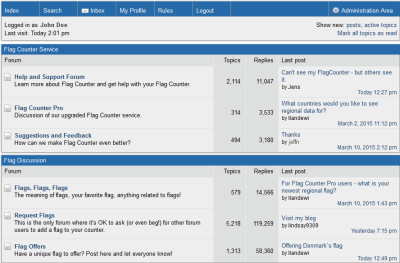 You've found the best place to create a free forum or free message board. Our service is loaded with features, and we've made it easy. Choose a host that will be there for you. Our customers have trusted us to host their online discussions for over 20 years! Why choose our free service? Experience! We've hosted millions of our customers' discussions. Long before there even was a YouTube or Facebook, we were already giving away free message boards. We'll be here for you in the future as well. 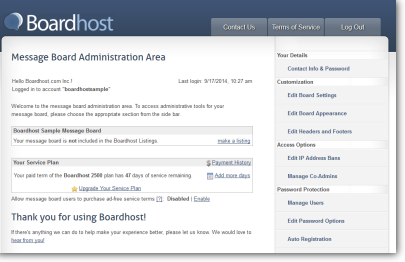 Instantly create a Boardhost forum that allows you unlimited categories, postings, users, and even pageviews, or create a classic Boardhost message board, loved by our customers for its ease of use. Over the years we have become known for our service's speed and reliability. Our service is easy enough for beginners, yet contains high powered tools that advanced users crave. Have just one forum, or split your forum into as many categories, forums, and sub-forums as you like. Each section can receive and hold an unlimited number of postings, and has no bandwidth or pageview limitations. Not only can you edit postings, "lock" them, "pin" them to the top of a forum, move them from forum to forum, and more, you can also appoint an unlimited number of moderators that can do the same. 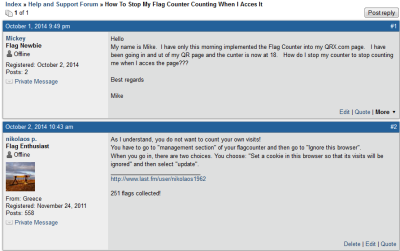 Control virtually every aspect of your forum. 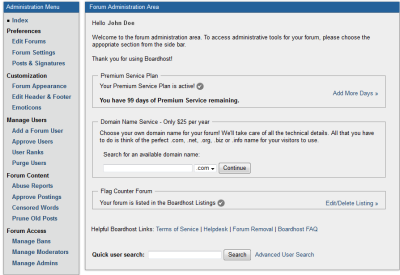 Set up censored words, time and date preferences, and much more simply by visiting your forum's built-in Administration Area. 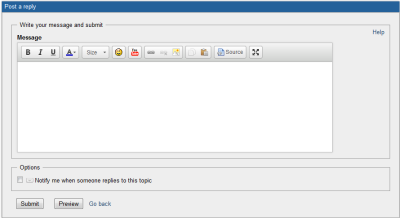 We want your forum to look exactly how you want it to. Not only can you add a fully HTML-enabled header and footer area, you can choose your own colors, or dive deep into the CSS if you prefer. We've worked hard to make our service easy enough for beginners to use, but still loaded with powerful features. We would love to host your forum, and hope you will create one now! To get started, just think of a great username and put it into the box at the top. If you have any questions, we're here to help. Let's face it, most of us like to keep things simple. 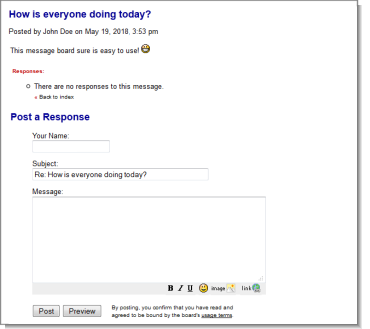 Our message boards feature a familiar threaded format, making it easy to jump in on conversations. Your board will store up to 2,500 messages, and you can upgrade to more with our paid service plans. You can allow anyone to post without registering, or install password protection on your board to control who has access. 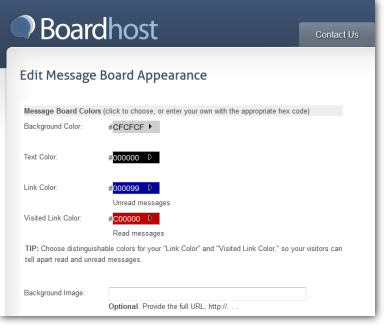 Your message board comes with access to the Boardhost Administration Area, full of powerful features to allow complete control of your board. 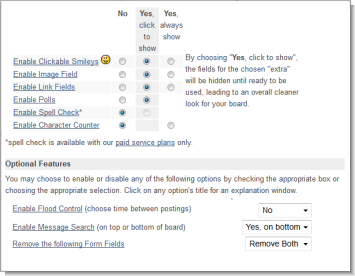 Remove and edit postings, control who has access to your board, and much more. We want your message board to be exactly how you want it to be. Want to allow polls? It's up to you. Want your users to be able to do searches? Want to ask them for their email address when they post? We've left these and many more all up to you. 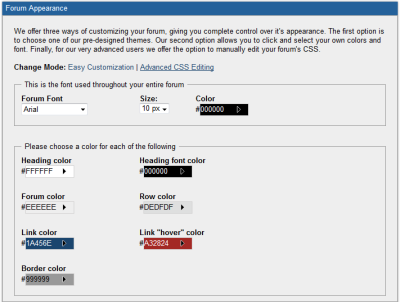 Choose your own colors and fonts, add a background image, and even set up a fully HTML enabled header and footer area. 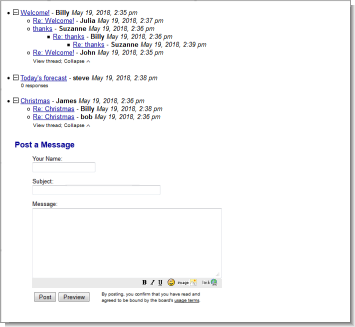 If you have a website, you can make your message board look just like it. Did we mention easy to use? Your users won't hesitate to jump right in on the conversations. Yet you'll probably be surprised at how many features we have packed in. Create your own message board now!